Captain Singapore - A National Day Post with Bonus Track ~ Smithankyou - Lifestyle and Travel Photo Blog. National Day was pretty well spent. Spent time at home with Ah Dum. Packed the room, shower the cats and watched NDP as usual. I would normally throw a house party with pizza and beer and watch the parade with some close friends but I have no idea why I did not do it this year. Probably a little lazy and busy and decided to just catchup on some quiet time. Anyway look at my neat room now !! Some of my toys relocated. And frankly I am a very patriotic person. I love my country for many things although there are times i love it a little less. For Example where I get up the MRT Train or trap in a jam or meet with bad FT service stuff or when I get pushed around by overcrowded roads or when i do not get to watch cantonese drama or there is no local playboys magazine or.. nvm. You get my point. I really love my country. Look at this picture ! 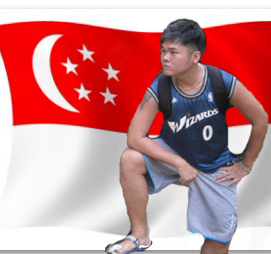 I am Captain Singapore. My Job is to raise Singapore's Birth Rate and make sure awesomeness runs in the bloodline of my good Singaporean. And for this special Occasion, I wrote spoof a song ! We have a goal for Singapore, It's twenty ten, did we achieve? They did achieve, they did achieve.